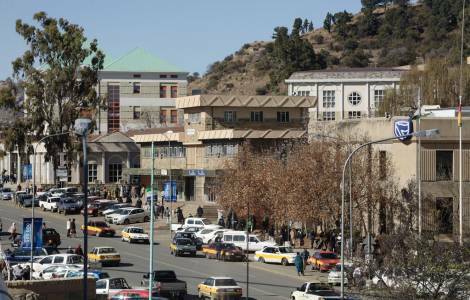 Maseru (Agenzia Fides) - “The election was peaceful and well organised. Although some aspects could be improved, as the local Church we applaud the manner in which the election was held” says a report on parliamentary elections held 3 June in Lesotho. The report sent to Fides, was drafted by the Justice and Peace Commission of the Episcopal Conference of Lesotho, in cooperation with the Inter-Regional Meeting of Catholic Bishops of Southern Africa (IMBISA). Justice and Peace Commission sent 120 observers to 50 electoral districts, some permanent and some moved from one polling station to another. According to the report, the polling stations watched by the local Church observers were well run with properly trained staff. The procedure was carried out in an orderly manner with the staff calling out loud the name of the voter as he or she placed the ballot, so those present could ascertain the proper procedure of voting .